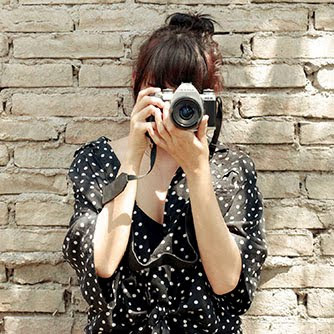 Estoy muy feliz con este look que les voy a compartir. Es definitivamente uno de los más cómodos que he usado, y en donde puedo plasmar un poco más mi personalidad con color! 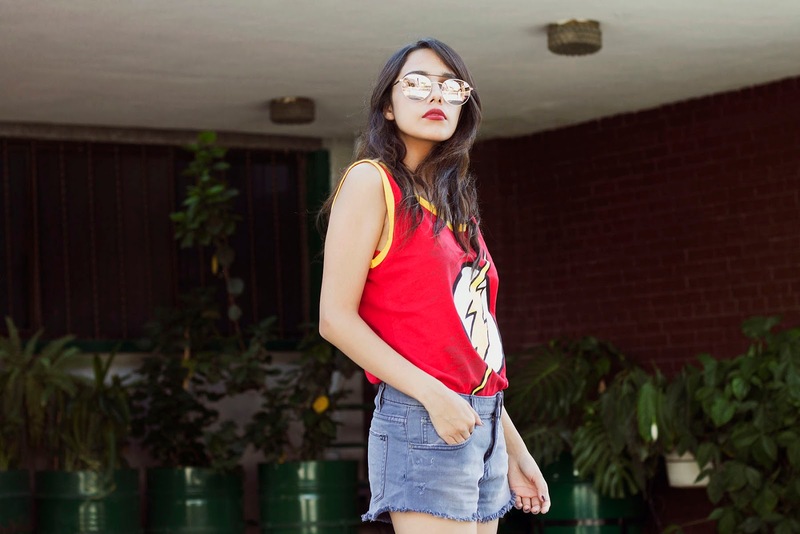 Uno de los colores que si incluyo en mi closet, es el color rojo, y solo por que soy super fan de "The Flash", algunos ya lo saben y aún así lo reitero, es y siempre será mi superhéroe favorito! Tengo apróximadamente 5 playeras de flash y si, ya se que es raro si son casi iguales, pero que les puedo decir? nunca son suficientes playeras de tu superhéroe favorito. Además, quise que mi outfit combinara con mi nuevo par de lentes que Hawkers me mandó hace unos días. Tienen que ir a checar la nueva colección! Yo me enamoré. Estos que estoy usando son los "Rose Hills" y están increíbles! 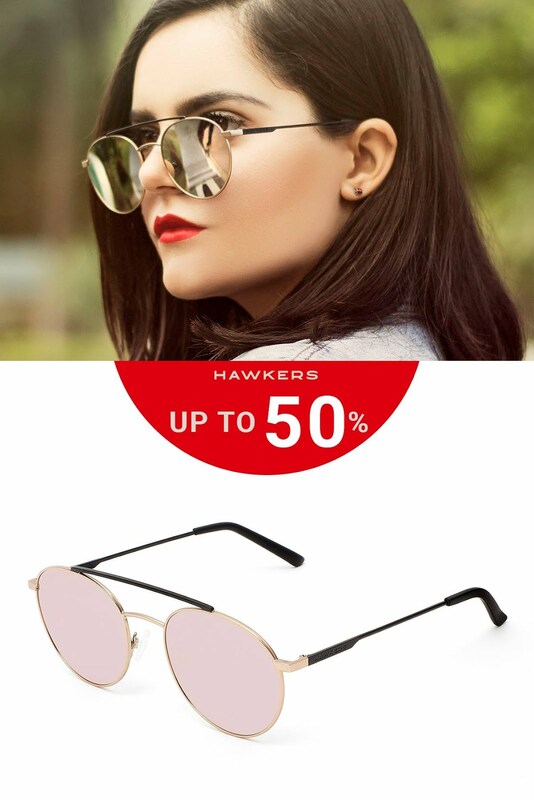 Recuerden que tengo un código de descuento por si lo quieren usar y ahorrarse un 20% en su compra en Hawkers, se los voy a dejar abajo! I'm very happy with this look that I'm sharing today. It is definitely one of the most comfortable I have wore, and where I can include my personality a little more with color! One of the colors that I include in my closet, is red, and just because I'm super fan of "The Flash", some of you already know and yet I repeat, he is and always will be my favorite superhero! I have about 5 flash shirts and yes, I know it's weird if they are almost the same, but what can I say? There's never enough. Also, I wanted my outfit to match my new pair of sunglasses that Hawkers sent me a few days ago. You have to go check out the new collection! I fell in love. These I'm using are the "Rose Hills" model and they're amazing! Remember that I have a discount code in case you want to use it and save 20% on your Hawkers purchase, I'm going to drop them down!